These photos of human unicorns are REAL. It doesn’t happen very often, but people do grow horns. They’re called cutaneous horns and they are the result of a wide range of epidermal lesions. According to the World Journal of Surgical Oncology, cutaneous horns appear in men over 55 and women over 65. Rare as these cases may be, cutaneous horns have been around for quite some time, with the first documented case appearing in the 1500s. 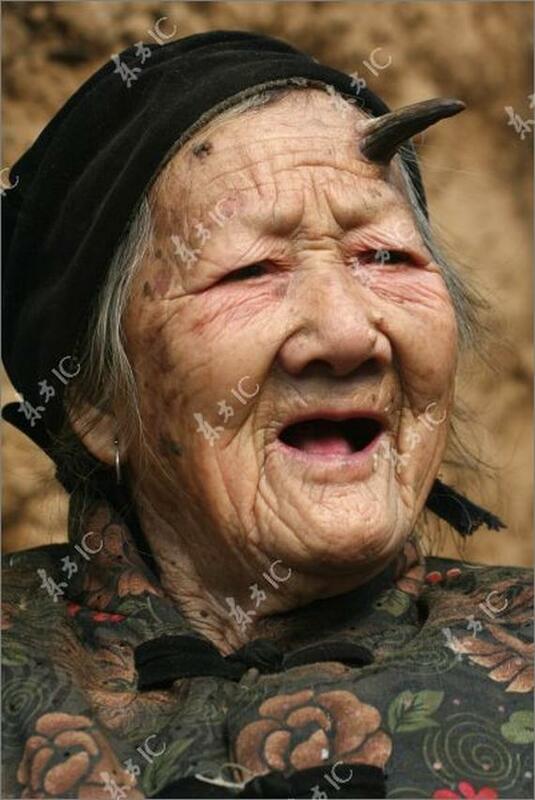 This granny, from Linlou village, China, has a goat-like horn coming out of the left side of her forehead. It began as a small lump, that Zhang and her family ignored, but it turned into a regular horn that measures 6 cm. When these photos were taken she was 101 years old. It’s not known if she is still alive. 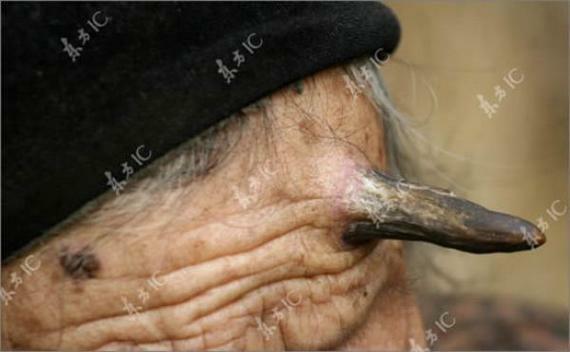 In 2007, the Yangcheng Evening Post reported that a 95-year-old woman, from Zhanjiang city, China, had a curved horn, like the stalk of a pumpkin, coming out of her forehead. Actually, it wasn’t really a horn, but an overgrown mole shaped like a horn. The old woman, known as Granny Zhao, said it started out as a small mole, but it grew in time. She said she didn’t suffer any pains, it just slightly affected her vision. This photo of a 93-year-old man, living in a small Chinese village, was taken in 2007. Five years before, Ma Zhong Nan was combing his hair, and carelessly injured his scalp. He paid no attention to the small wound, but soon, a hard substance started coming out of his head. 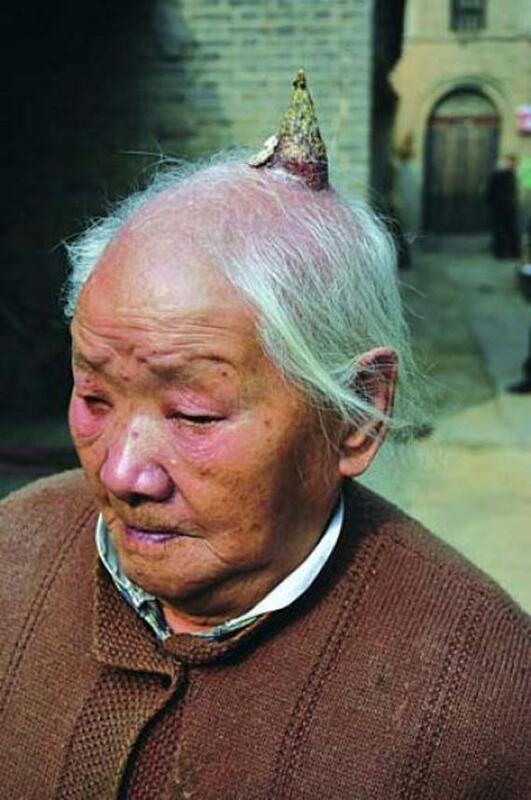 In just half a year, the old man had a 10-cm-long horn on top of his head. 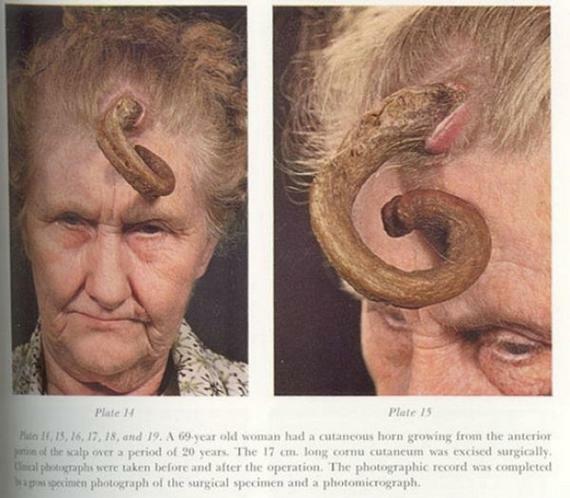 This 69-year-old woman apparently lived with a 20-cm-long cutaneous horn coming out of her forehead. 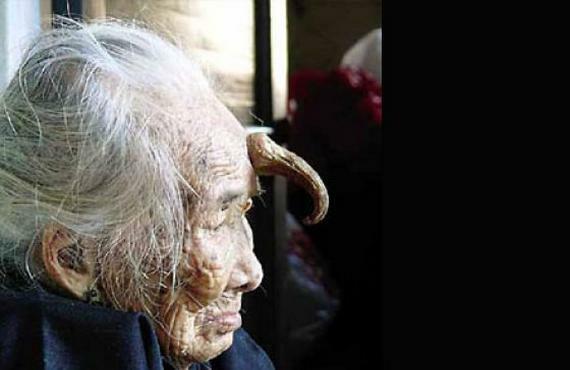 She apparently came into a doctor’s office, one day,in 2008, saying she had a bump on her head, two decades ago, which eventually dried and turned into that curled up horn. The cutaneous horn was surgically removed.